Google Chrome’s mobile versions for Android and iOS are also very popular. Google Chrome has been developed by Google and is available as a free web browser based on WebKit layout engine. Most of its source code is available as open source project named as Chromium. Google Chrome has been designed to work extremely fast in each and every operation. It is quick to start, loads web pages instantly and is able to run web applications (including complex ones) in super fast speeds. Its browser window has a clean and simple layout with features which facilitate ease of use and efficiency. Moreover, it comes with built-in phishing and malware protection, auto security fixes and much more. Plus you get access to applications, themes and extensions from its Chrome Web Store. Some of its latest features include GPU accelerated decoding for videos on Windows, easier website permissions, automatic full page translation and lots of other features, as well. Google Chrome usually comes out with many new features and improvements in its updates. In every new release of Google Chrome, Google makes efforts to fix bugs and errors (if any) which exists in its previous versions. This sounds good on the effort front of Google, but is extremely frustrating for the users as they have to update their Google Chrome web browser whenever a new version is released. Though Google Chrome can be updated in the background, but the outcome is not satisfactory at all. The much better solution is to use Google Chrome Offline Installer. It gets much easier to install Google Chrome by using Offline Installer than having to download online for each and every computer. It saves your precious time as well as bandwidth. 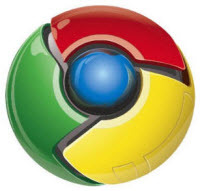 You can use the link below to download Google Chrome Offline Installer.